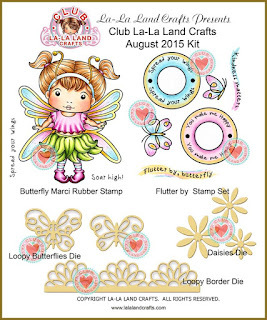 Your Next Stamp November Guest Designing!! Hello Everybody!! I have been asked to be the November Guest Designer over ay Your Next Stamp! to say I'm excited is a HUGE understatement! 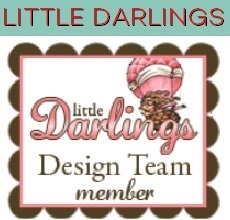 For my intro card, I made a shaker card using several Your Next Stamp Dies and Stamps! Okay that is the Cutest Puppy ever !! He is from the "Love and Smiles" set. I used the "Photo Frame Die" to create my Shaker element. Other than that its quite a Simple card, but makes a great statement I think. I hope you love this card as much as I do, all the links to the Your Next Stamp products I used will be below! Hi everyone! Welcome to another challenge at Kraftin' Kimmie Stamps! This week Our theme is Nature! For my project today I used the adorable mouse from the Ice, Ice Baby Set, Christmas Cheer for the sentiment, and Happy Winter Days for the Baubles. I made a simple gift box, cause I never have enough around Christmas! There are TONS of new goodies in the Krafty Store!!! Check 'em out and stock up now!!! DID YOU HEAR?!?!?!?!?!?!? 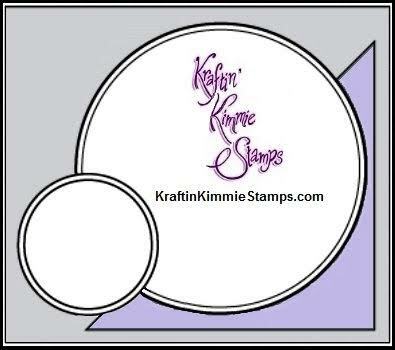 Kimmie announced yesterday STAMPING WITH KRAFTIN KIMMIE LIVE!! Kimmie will announce ahead of time the stamp set and perhaps a kit being used... Then when the day comes you get your goodies together and through Periscope we ALL make something together!!!! Join the NEW FB Group to get all of the deets!!! We can't wait!!!! Now create a card, scrapbook page or altered item with a Kraftin' Kimmie Stamp or any other stamp and be sure to use our THEME as a starting point for your creation!!! You will have until November 6th at 11:55 pm EST to get your entries in! You can Enter the Challenge HERE!! 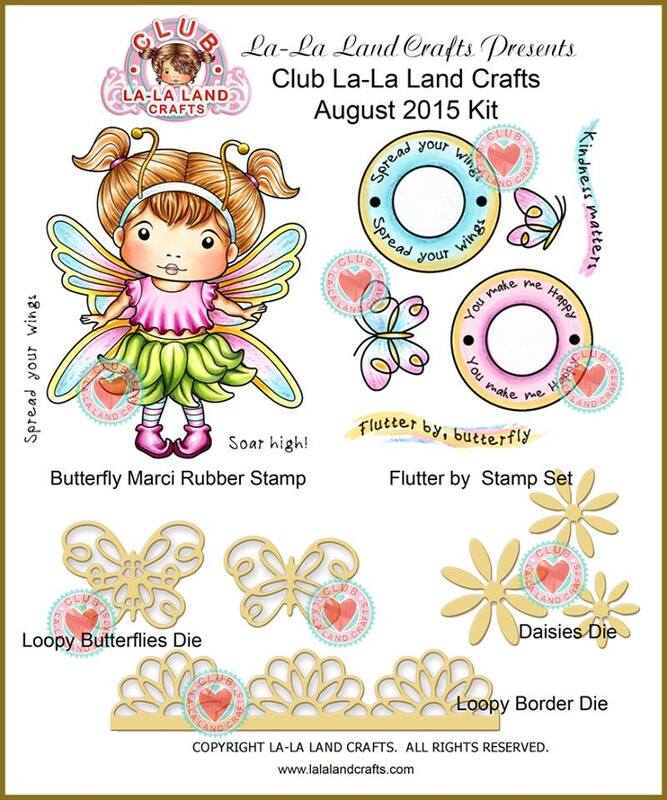 I finally got the chance to work on my August LaLa Land Club Kit. These kits get better and better every month. I have said it before and I will say it again, they are a fantastic value for your money. Its okay to Drool! Here is my card with it. mostly everything I used was from the kit, except a few other La La Land dies which I will link below. I hope you love this as much as I do! Thank you For Popping by! Hello everyone! today I'm sharing a card with you using Owl Always Love You, from the paper nest dolls. Hello Krafty Peeps!It's Wonderful Wednesday time!! We hope you can play along!! As always....it's ANYTHING GOES!! Break out your Kraftin' Kimmie Stamps and get krafty!! For my card I used the New Ice,Ice Baby set as well as the new Happy Winter Days set for the sentiment! both are from our October release! I really love this adorable Little Skating Squirrel! I created a scene for him using distress inks and Copic Markers. This card also features our October Sketch, The sketch will last all month long and if you use it in ANY of our Challenges or WW's during that month you will get an additional chance to win a store gift card! You do NOT have to use the sketch, it's just a little extra boost for your mojo if you need it! There are only Four days left to use this one!! We want EVERYONE to be able to play along so your submission can use ANY stamp and can be any theme, any style, any design and it can be a card, a scrapbook page, an altered item....you name it!! It must be a NEW creation and you can enter on this post until November 3rd at midnight! At the end of the month one random winner will be chosen from all the submissions for the whole month and will receive a $20 Gift Card to the shop!!! What do you think.....wanna WIN?? Let's see your krafty stuff!! Enter you project HERE. Good Luck!! Today Im going to share with you how to use Frantage, Wink Of Stella and Liquid Applique. We get a lot of questions about this on the Kraftin Kimmie Stamp's Krafty Friends FaceBook page, so im here to demystify them for you! I have made a Video for you to show you how they work! Hello Everyone! Today I have an adorable card to share with you featuring "Noelle" from Pollycraft by CC Designs! Plus a lot of other CC Designs goodies! There will be links to all the wonderful CC Designs Producs I used below. Thanks for popping by! Kraftin Kimmie Saturday Challenge! Winter Fun! Hello everyone! Welcome to another challenge at Kraftin' Kimmie Stamps! Today the Saturday challenge is Winter Fun! Have you joined the Kraftin Kimmie's Krafty Friends fb group?? It's the best place to keep up with all of the goings on as well as sharing YOUR creations and getting inspired by other Krafty Friends' creations!!! Here is my card using the Snow Buddies Set as well as the fantastic new sentiment set Christmas Cheer!! You will have a few days to shop the Boss is away sale! While Kimmie is on vacation, lots and lots of goodies in the Krafty Store are on SALE!!! You have until Sunday the 25th to save! Hello Everyone! If your coming from the uber talented Lizzy, you in the right place! For my card today, I used Super Hero Henry to make a Shaker card with the fantastic new Rectangle , and Pinky Rectangle Nesting Dies! Hello Everyone!! Today I'm doing a Video guest spot over at The Greeting Farm! For my Card I used Beanie Ian, and the Hello die cut from the Hello and Smile Die Cuts Set. He is just the cutest thing!! Thank You so much for popping by, and please like share and subscribe to my YouTube Channel! Some images Just steal your heart, this is no exception. I grew up with always having horses, so this makes me smile. I Copic Colored and fussy cut the fence and the two friends. I hope you really enjoy this card and maybe it made you smile. Hello Everyone! I finally got to play with my September LaLa Land Crafts Club Kit! it is probably my so fave to far. You can find out more about the club Here. So here is my Creation. Kraftin Kimmie Wonderful Wednesday Challenge! The Paper Nest Dolls October Release!! CC Designs New Release Showcase Day Two! Kraftin Kimmie Peek Day Three: Snow Buddies!